The need for supportive and reliable collaborative application is critical; it is also the need for many organizational supports. This paper reports about on-going research on how culture influence should be applied as a requirement when designing a synchronous groupware application as an intercultural collaboration tools aimed for global virtual team which consist of multicultural users. It will try to analyze how culture influences the way users prefer to interact using a groupware. 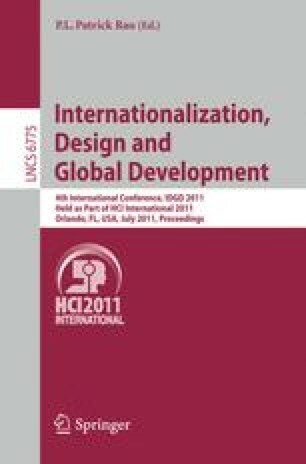 Individuals are conditioned by their culture, therefore in this study we propose to extend Technology Acceptance Model so that we can understand the mechanism by which cultural differences could explain user’s behavior toward the acceptance to a groupware application as a remote collaboration tool for global virtual team.